Hoboken dearly missed the boys of summer back in 2011 when the massive theft of emails in and out of former mayor Dawn Zimmer's office uncovered a massive illicit political operation arrayed against her. The stolen emails, numbering in the tens of thousands or more spread near and far finding their way to Hoboken public safety unions which were in protracted contract negotiations and the boys of hate at Hoboken411. In the end, no one went to jail. Fast forward to 2019 and the FBI under new Department of Justice leadership in Newark is diving into one of Hoboken's most treasured traditions: voter fraud. Not a year ago, the Hoboken City Council became a free for all as the topic of voter fraud erupted spontaneously with Councilman Michael Russo recounting, or bragging there'd never been an arrest in Hoboken for voter fraud. These days, Russo is a welcomed member of Mayor Ravi Bhalla's inner political circle making recommendations. One rumored consideration anticipates Peter Biancamano's return as a candidate for City Council in the second ward this November on a Ravi Bhalla council ticket. Last year, however, it was one Councilman Michael Russo speaking on the topic of Hoboken voter fraud saying, "I don't think anyone really bought a vote... Anybody who tells you different is lying to you. When they say someone bought Vote by Mails, no they didn't...."
Four arrests have followed with Mikie Squared finding himself at the epicenter of suspicion swirling around his amassed army of paid campaign workers. Almost to a person, each was paid $50 and their personal ballots using vote-by-mail in the 2015 election. Only 20 among hundreds worked in his Third Ward campaign where he faced no opposition. Only a month in office as mayor, Ravi Bhalla made wild allegations later walked back against the City Council citing certain members being "beneficiaries of voter fraud," but pointedly avoiding any mention of his ally, Councilman Michael Russo. 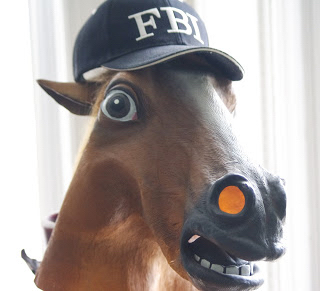 The FBI, under new management, has little concern for the local political hypocrisy of HudCo mayors and is not done with Hoboken. Not by a long shot. The rest of this exclusive investigative report is MSV Premium and was released today. Last week, a 2nd Ward neighbor was hit by a car at the corner of 15th & Bloomfield. A car driving north on Bloomfield Street, barely stopped at the stop sign and turned left onto 15th and hit him in the crosswalk in the middle of the day and did not stop. Thankfully, his injuries were limited to a broken leg. 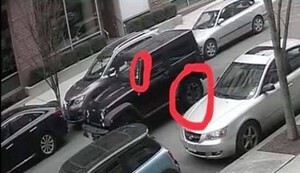 This is a picture of the Black Jeep (notice the rims and the formation of the stickers on the windshield). If you have any information please call Hoboken Police at 201/420-2100. This is a story we are hearing with more frequency not across 15th Street, but across the city. Pedestrian Safety has been in our local vernacular for a long time, especially under former Mayor Zimmer, with the main focus being improved street design and planning where we have made a number of positive changes. Last week, the administration put out this video which highlights Parking and Transportation Director Ryan Sharpe (who specializes in street planning) discussing Complete Streets for Hoboken. With this video, the administration also announced that they will soon be introducing Vision Zero for Hoboken with their stated goal of reducing traffic-related injuries to zero by 2034. This is a great initiative and you can click here to learn more about what Jersey City has done since they announced their own version of Vision Zero last February. Branding Hoboken as a pedestrian city - eg. having signs at our entrances that say something like “Welcome to Hoboken, where pedestrian safety is our number one priority”. Creating a #ShareTheResponsibility type campaign - Although some residents believe car drivers should bear most of the burden of changing behavior, I believe it is as much about making all users of our streets do their part including: Cars stopping at stop signs, bikes stopping at all stop signs and riding with traffic instead of against, and pedestrians not crossing midblock and not looking at their phones as they cross at an intersection. Educating Hoboken residents on how they can and need to do their part today. Creating safety weeks throughout the year and include resident advocacy - eg - residents donning t-shirts and handing flyers out to every car entering and leaving Hoboken that say "Pedestrian Safety is Our Priority" to raise awareness. if you see something, say something. Take a photo or video and email it to the recently established traffic@hobokenpd.govand also post on social media. Join the Hoboken Parents Advocating for Safer Streets Facebook Group. Start a social media/email group in your neighborhood to organize focus on your own street. This is about raising as much awareness as possible and you know I believe that more voices are always better. Almost every person in Hoboken walks out their door every day to go somewhere. That means everyone is a pedestrian. Even if you own a car and use it a lot or ride your bike to and from places. I know it sounds like I am stating the obvious, but we forget this sometimes when we talk about how best to use our roads. 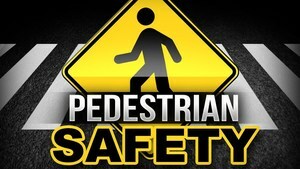 At the core, we are all pedestrians and ensuring pedestrian safety touches everyone one of us. And we all need to do our part.